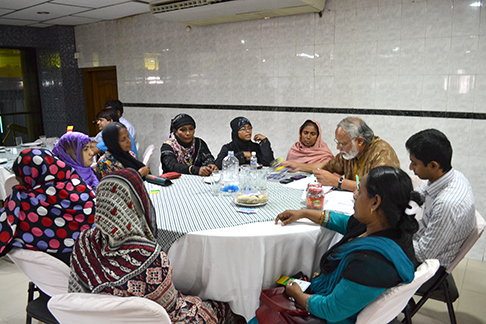 Institute of Microfinance (InM) organized a Regional Dialogue on May 8, 2014 in Chittagong with the NGO/ MFIs working in the division and their members. The participants are from different NGOs and MFIs of Chittagong, Noakhali, Lakhsmipur, Cox’s Bazar and Chittagong Hill Tracts. The dialogue was graced by the presence of Mr. Khandakar Muzharul Haque, Executive Vice Chairman, MRA as the chief guest and was presided over by Professor M. A. Baqui Khalily, Executive Director, InM. Dr. Md. Mosleh Uddin Sadeque, Director (Training & Operations) and Mr. Shabbir Ahmed Chowdhury, Advisor, (Training) also spoke on the occasion. Mr. Md. 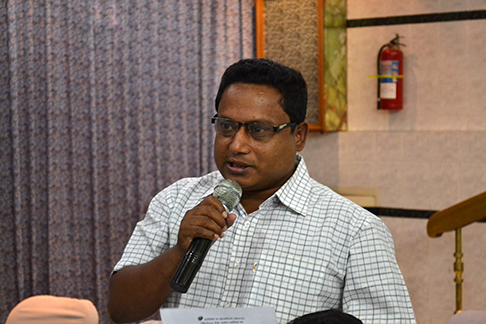 Abdul Hye Mridha, Senior Deputy Director (Training & Admin) conducted the event. The daylong Regional Dialogue was divided into two segments. The first session was with the members/ borrowers of NGO/ MFIs, aimed to know their opinions on the development initiatives, experiences- both success and failure cases and challenges/ needs of the borrowers from different demographic areas. 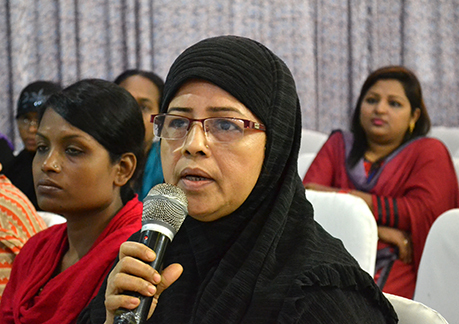 A total of 44 members/ borrowers from different NGO/ MFIs of Chittagong Division was present in the dialogue and actively participated in the discussion. This will help InM to design new pathways to address the emerging issues in the areas of poverty reduction and development. The second session of the dialogue was with the executive heads of the NGO/ MFIs of Chittagong division, practitioners and stakeholders. 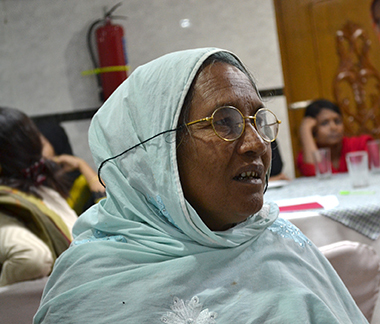 This session aimed to understand the needs, problems and challenges being experienced by the NGO/ MFIs and way outs. A total of around 200 Senior Executives and Senior Officials of NGO/ MFIs participated in the dialogue. Discussions highlighted the challenges in working with the grassroot people of the Chittagong Division. These will help InM to design its training, and research programs to address their needs and aspirations. Mr. Khandakar Muzharul Haque, Executive Vice Chairman, MRA highlighted the MFI regulatory issues and its implication. He also mentioned that MRA capped the interest rate which is 27% maximum. MRA is also moving forward to formulate policy issues to cater to the growing demand of MFIs. In the concluding remarks, Professor Khalily said that there is much to be done on how to integrate development initiatives/ programs to mitigate challenges faced by the members/ institutions and enhance their capacity. InM can play a significant role in these areas through collaboration on the priority agenda as discussed in this dialogue.